Creative Culture is a fast-growing language and cultural expert. We help brands and creative agencies roll-out effective marketing, communications, advertising campaigns and strategies globally. 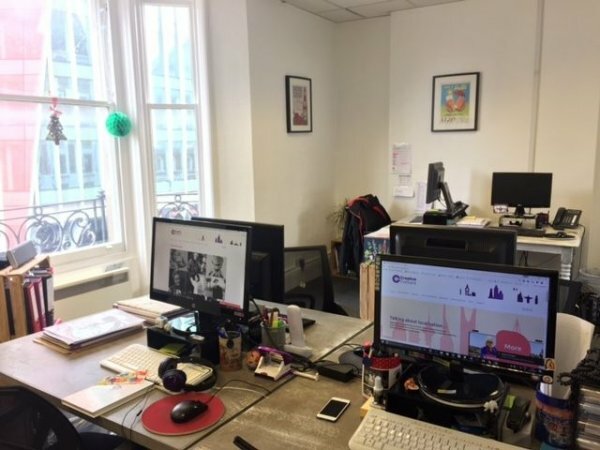 To do so, we benefit from an international network of creative, cultural and language specialists around the world, which we manage centrally from our London office. We offer transcreation services as well as local market research, cultural consulting, interpreting, DTP, linguistic coaching, copywriting, corporate cultural events management and research among others. For more information visit [###########]. We are looking for an intern who will help us develop and strengthen our network of linguistic and cultural experts around the world, as well as support us in the research of skilled professionals to join the team. The internship programmes at Creative Culture last between 4 and 6 months. ● Daily management and update of our pool of talent around the world: talent search and skill assessment, creative judgement. ● Support in the recruitment of new team members: identifying the most relevant profiles according to the needs of the team and organising interviews. ● Be involved proactively in the company’s growth. We are looking for a candidate who wants hands-on experience and a role which grows within a fast-paced environment. ● Your English must be native or proficient. ● Experience/university background in HR, languages and marketing are recommended. ● Proficiency in Microsoft Office Package is required. ● Good communication and people skills. ● Excellent organisational and time-management skills. ● Pro-activity and solution seeking skills. Please apply in English and send your updated CV and a cover letter to [###########] FAO Gaia, including the following reference for the internship “HRTINT2018”. Applications without a cover letter may not be considered.